We created a presentation site for Paul Trans truck and coach service in Timisoara. Website development for car service. 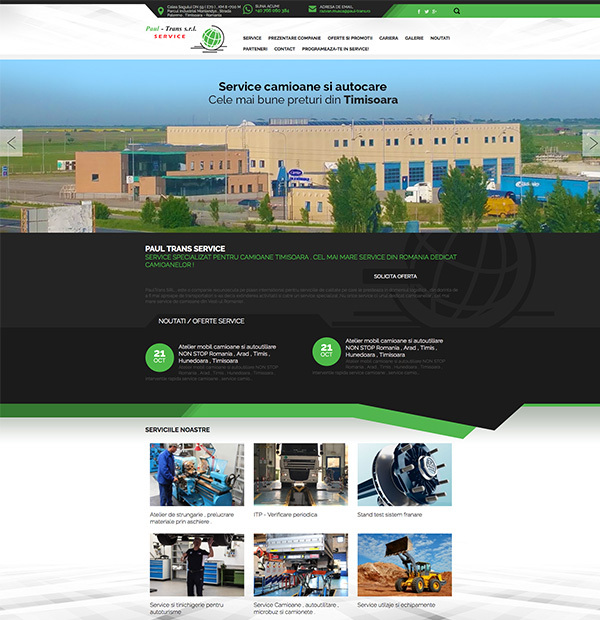 Web site design for truck and coach service Romania. he website contains a presentation section of the service and equipment available, a section of offers and promotions, careers, news, partners, presentation foto-video galleries and in-service programming section.